"Be a student all your life. Enrich yourself with the learning’s of the past", advised the highly applauded music composer and guitarist, Ehsaan Noorani, at the cultural hub of Whistling Woods International (WWI). 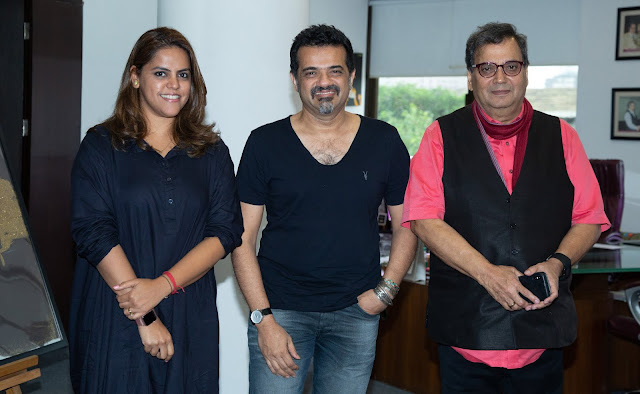 Ehsan, one of the principal associates of the celebrated Indian musical trio, ‘Shankar-Ehsaan-Loy, has always had the whole nation swaying to rejuvenating and soulful music compositions. The gifted musician was filled with excitement as he exchanged valuable lessons and different perspectives on the evolving world of music with the students at the institute. 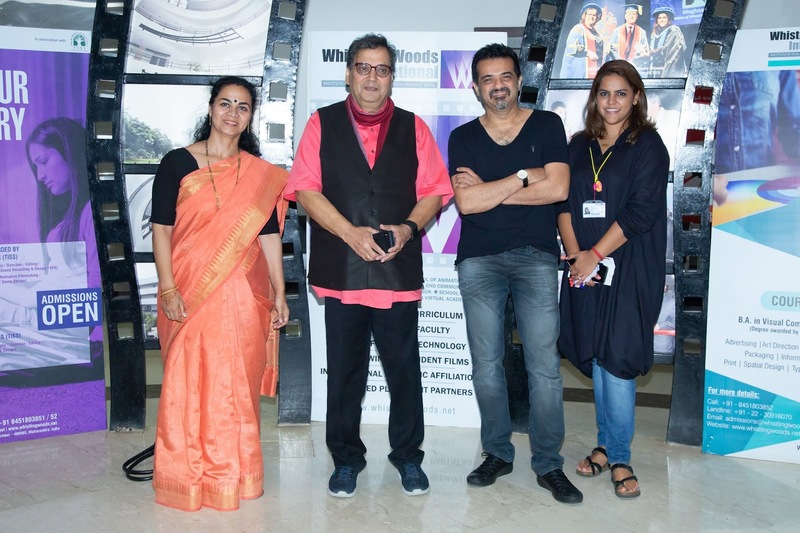 The session hosted by Subhash Ghai, witnessed Ehsaan narrating his journey from being a student at ‘The Musicians Institute’ in California to becoming the iconic music composer for Hindi Cinema. He highlighted the different music genres and emphasized on the importance of Indian classical music in creating unique and melodious compositions. 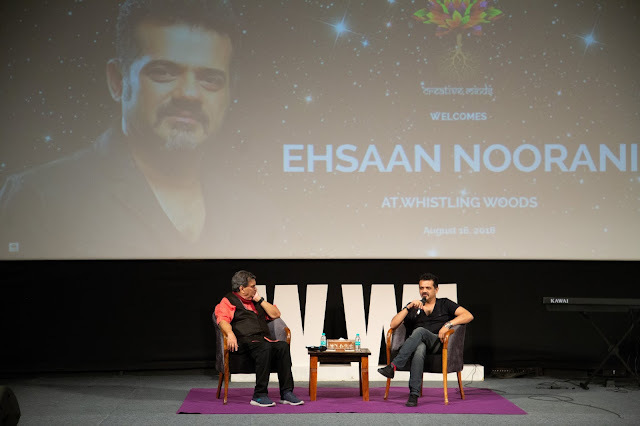 Further revealing practical insights about the working dynamics in the music industry, Ehsaan elaborated upon the process of casting singers for music compositions. He explained how the casting method had evolved over-time. 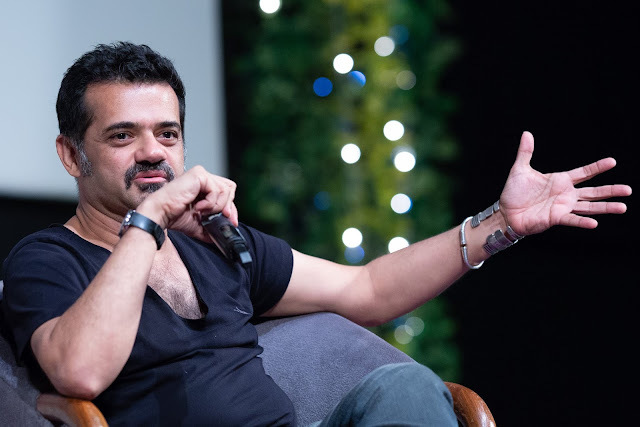 In earlier days, while casting depended mainly on the actors of the movie, however, in the present-day scenario, singers are cast on the basis of the overall composition and how it aims to be delivered. The latter part of the session was then open for a Q&A, where the talented musician with great willingness answered to the queries of the students. 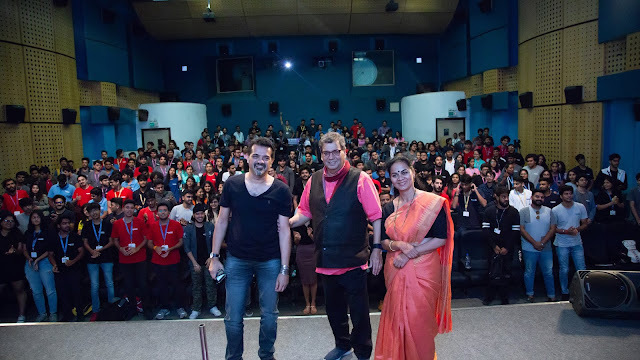 Post the insightful Q&A, Ehsaan jammed with the students, where he strummed the guitar and the entire auditorium including Subhash Ghai sung his iconic compositions aloud in harmony. The session then marked its end with a thunderous round of applause, as Ehsaan Noorani was bestowed with a token of appreciation by Subhash Ghai.